Two photo exhibitions related to Istanbul will be held in Sarajevo. The first one, “From Constantinople to Istanbul” will be open in the Artistic Gallery on September 12th at 18:00 o’clock and the other one entitled “From Istambul to Sarajevo” in the Turkish Cultural centre Yunus Emre on September 15th at 18:00 o’clock. The exhibition “From Istanbul to Sarajevo” embraces around 45 photos describing the unique atmosphere, historical heritage and the glorious silhouette of Istanbul which remained intact for centuries and which offers a common place of different cultures. The author of the exhibition is Mustafa Dedeoglu from Istanbul. – said for the Fena Agency Selma Mujkić from the Turkish Cultural centre. She also explained that one part of the photos describes Istanbul while the other one is dedicated to Sarajevo and that the exhibition will be open for seven days. 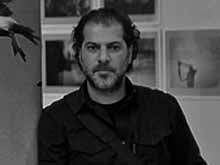 “The artist himself, Dedeoglu, will also attend the exhibiton so the visitors will have the chance to ask him questions about his work. Dedeoglu was born in 1976 in Istanbul and graduated at the Department for Industrial engineering at Cyprus. The objective of his work is to wake up different feelings in those who love photography art. – said Mujkić.